I don’t know about you, but there are only so many pickles we can handle around here! 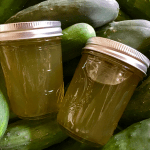 That put together with my kids’ love for finding unique entries for the local state fair— I am proud to present a non-pickle way to preserve cucumbers: Cucumber Jelly! Now, this isn’t your peanut butter and jelly kind of jelly. It’s sweet and tangy with a nice, fresh cucumber taste. If you ask my kids, they will tell you it tastes like very sweet pickle jelly! But I taste more cucumber with the tang of vinegar being an afterthought. This cucumber jelly is not savory, but pairs well with savory dishes. And I’ll let you know how it ranks in the fair this coming year! 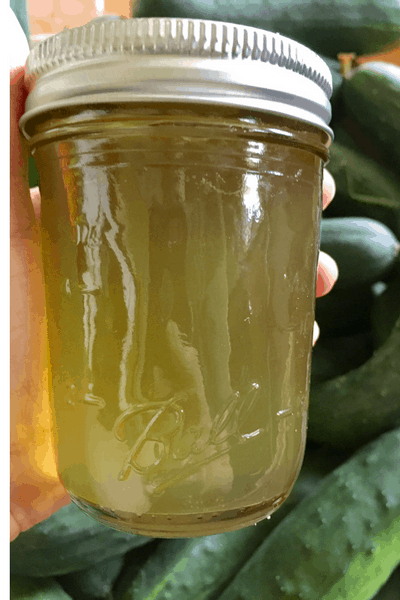 You can use any cucumbers you have on hand to make this jelly—making it perfect for all those slicing cucumbers coming out of your garden right now! The recipe calls for 2 1/2 cups of cucumber juice. This would be about 4 large slicing cucumbers. To extract the juice, cut off the flower end of the cucumber and either chop up in a blender or food processor until it becomes puree or put it through a juicer. Either way you will need to strain it well before using it to make jelly. I strained mine 3 times total. Once through a fine mesh sieve to get the large pulp out, then twice through cheese cloth. Optional: Seeds scraped from one vanilla bean. Mix the cucumber juice, sugar, and vinegar (and optional vanilla bean) in a pot and slowly bring to a boil. Stirring occasionally. Gently boil for 2 minutes and then remove it from the heat. Stir in the pectin and return to a boil. Boil and stir for 1-2 minutes more then remove it from the heat. Continue to stir, skimming the surface to remove any foam. Pour jelly into half-pint jars, leaving 1/4 inch head space. Wipe rims with a clean cloth and place on 2 part lids. At this point you can either cool and store in the fridge or place in a boiling water bath canner for 10 minutes. Check for a good seal before storing. Are you in the mood for another different and unique jelly? Try my forsythia jelly! That’s it- a simple, sweet cucumber jelly! This makes about 7-8 half-pint jars. Give it a try- let me know what you think! How do you use this cucumber jelly? No, I’ve not had any issues. Are you using liquid pectin? How much liquid pectin do you use please? Could you tell me, is this supposed to be 2 1/2 CUPS of cucumber juice or 2 1/2 cucumbers??? This recipe looks amazing! 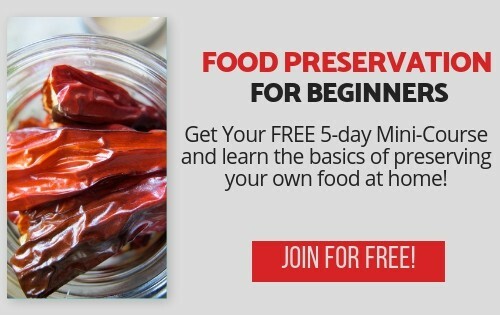 I was curious if there is a way to make this jelly sugar free? I made this jelly today as I was gifted umpteen English cucumbers. I’ll utilize the pulp as well by making a pasta & some crackers. The flavor is very addicting. I did add the vanilla plus I added an apple as I love cucumber apple smoothies. I struggle with liquid pectin so I’m praying this sets up thicker. I posted in one of my food groups & there’s always that one is this a ball certified recipe? Ugghhh I’m an avid canner & have been most of my 61 yrs. I felt it was safe. I have passed along your site to others that would like this recipe as I feel it’s only fair that others come to your site for the recipe & maybe find other recipes or just browse. If I had a blog or site I’d hope others would pay me the same respect.